Welcome to the part 2 of this article. I believe you are reading this probably because you find part 1 interesting. This very one promises to be as informative and knowledge based as part 1. As cucumber is meant to be fed on, they (cucumber crops) need to feed on nutrients in turn in order to produce. Cucumber plant is a heavy feeder. Therefore, you may need to boost soil nutrients and plant nutrients to obtain maximum yield. I would dwell majorly on inorganic fertilization albeit ensuring Good Agronomic Practices GAPs. 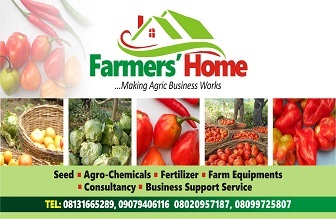 Unless you have access to affordable soil test analysis, you may need to apply your fertilizer blindly. In this case, I would advise you use at least three different targeted applications. This should be done a week or less after planting or in form of basal application. Among all these, NPK is the most available at least in this part of the world. The N (Nitrate) and P (phosphate) are the most required at this stage. While the former is needed for folia enlargement, the latter would ensure adequate root development. The SSP (Single Super Phosphate) and its other variations like DAP or DSP are used to boost root establishment which is proportional to degree of nutrients uptake. If you can find SSP, it is fine but if you can’t please make do with only NPK. The mixture of NPK and SSP could be in ration 5:2 respectively. This should be done 2 to 3 weeks after planting. What cucumber plants need during the vegetative stage is Nitrogen but the challenge with using only urea is that it burns easily therefore leading to the death of the plants. I would advise you mix Urea with NPK in the ration of 2:10 respectively; providing enough Nitrogen around this time results to rapid establishment of leaves and sturdy stems which in turn prepare a stage for high yield. Cucumber plants with many healthy broad leaves would be able to trap adequate sun light therefore ensuring high yield. This should be applied at flowering stage. Phosphorus among other uses in plant ensures adequate movement of water to the fruit thereby increasing fruit size, coloration and market appeal. Potassium on the other hand ensures flower blossom which is proportional to fruits numbers. In case you can’t find SSP or its other forms and Potassium Nitrate, you can still stick with NPK 15:15:15 or 10:15:15 or 0:10:10. Ideally, you don’t need any Nitrogen at this stage again but for the fact that finding single nutrient fertilizer may be a bit difficult. Fourth application is optional after first harvest but you are just fine even without it. Remember to apply soil fertilizer to only wet soil or thoroughly irrigate after application and observe the required distance (6cm-10cm) from plant stand otherwise you may have just dug the grave of your crop. Asides soil fertilizer application, folia fertilizer is very essential for maximum yield and total wellbeing of the plants. Folia fertilizer supplies micro nutrients you would not readily find in soil applied fertilizers. This micro-nutrients increase yield, resistance to pest and disease and prevent flower abortions. There are number of folia fertilizers you can find in the markets. I advised that you apply it according to the label every one to two weeks. Do you know that cucumber fruit is made up of 90% of water? Cucumber and water are great company. 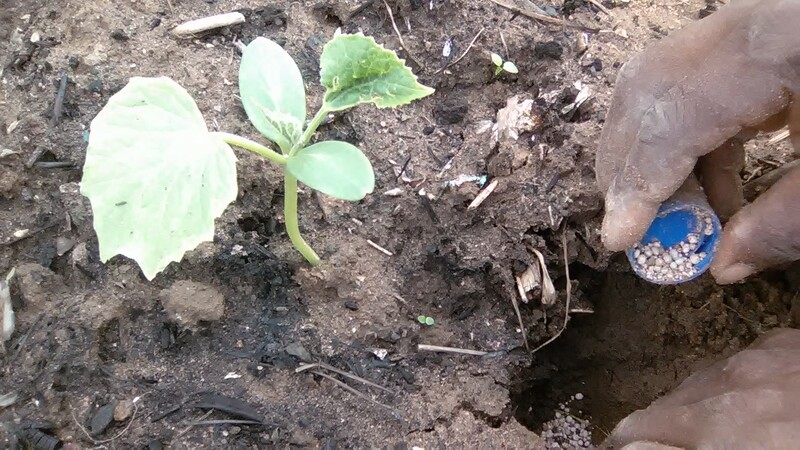 Without adequate water, cucumber plants would be greatly stressed (especially during dry season) and become very unproductive. A good sign of stressed cucumber plants are “sleeping leaves” during the hot afternoon that would then “wake up” again in the morning and twilight. Also, the fruit eventually produced under this condition would be bitter therefore rejected by buyers. Most importantly, cucumber plant responds to a lot of factors which often make it to produce predominantly male flowers rather than female flowers. One of those factors is heat stress in the absence of enough irrigation water. Before starting your cucumber farm during dry season, get your irrigation method right. Many methods of irrigation would do: spray tubes, drip tapes, furrow flooding, spot wetting etc. No matter the irrigation method used, make sure it makes the soil very moist round the clock. As I promised you in part one of these series of articles, I would provide you with resources you haven’t seen elsewhere before and are extremely practical based. To be successful in veggies farming, you need to understand flower pattern. This knowledge would inform you on how you would design your chemical protocol. Please come along. According to biology, there are basically two types of flower (in this respect): PERFECT and IMPERFECT FLOWERS. § Monoecious flower: In this type, male and female gametes are on DIFFERENT flower piece but SAME parent plant. In order word, male flower on its own while female flower on its own as well but on the same parent plant. For example, if there are 20 flowers on the plant, 15 flowers could be exclusively female and 5 exclusively male. In this flower pattern, there is a need for cross pollination most especially by insects and wind. Cucumber (by nature), watermelon, squash, maize (all cereals) fall in this group. § Dioecious flower: In this type, male gamete and female gamete are on DIFFERENT flower and DIFFERENT parent plants. In order word, when you see one parent plant, it carries ONLY male flowers while another plant carries ONLY female flower. This requires strong wind, and a lot of insect activities to ensure fertilization. Some veggies like Cucumber (through biotechnology), pawpaw (by nature) etc. belong to this class. This shows that cucumber plant needs cross pollination to fruit. Most effective cross pollination is carried out by insect activities (I mean beneficiary insects like Bees, Wasp and Butterflies etc.). If this is lacking, the yield would be very poor and many deformed fruits would be produced from incomplete fertilization (mostly caused by wind pollination). The question is how do you manage the presence of beneficiary insects? Having a good understanding of flower patterns would inform you on how to manage insect infestation. Do you know that if you want your cucumber to produce average or great yields, there are some insecticides you should not use? 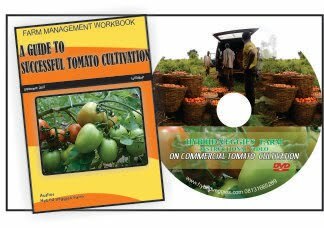 Find more on this and also diseases management, choice of seeds, engineering pollination to increase yield, market/marketing of cucumber etc. in our next article. You would get to know that some cucumber seeds from some seed companies are monoecious while some sell dioecious seeds. What are the merit and demerit of your choice? Watch out for this in our next article: (CUCUMBER CULTIVATION DICTIONARY (Part 3). I hope you fine this useful. If you do, be kind to leave comment behind. Cheers!